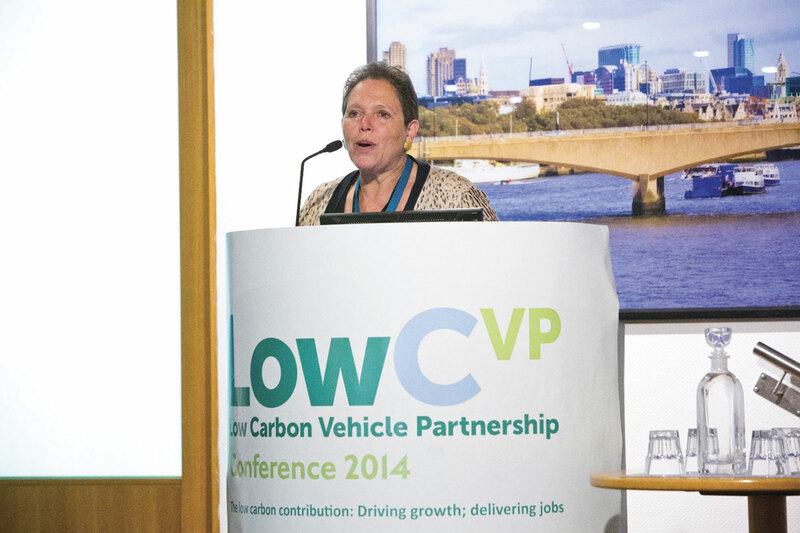 Representatives from Government, the automotive industry, fuel companies, and environmental bodies were just some of the delegates in attendance at the LowCVP – Low Carbon Vehicle Partnership’s annual conference last week. 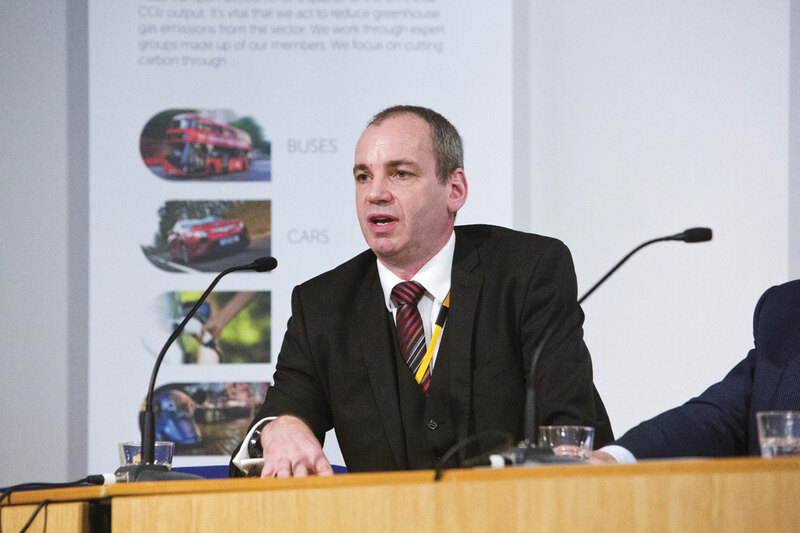 The main theme for this year’s seminar, which took place at the BIS Conference Centre in Westminster was the use of electric vehicles (EV’s) and the infrastructure required to support this. David Messem, Chair of LowCVP, welcomed the attendees and introduced conference chair, James Murray, Editor of Business Green and sponsor Mark Constable, Senior Project Manager for Electric Vehicles and Future Heat at EDF energy, both of whom gave a short introduction to themselves. Professor Peter Wells, Professor of Business and Sustainability, Centre for Auto Industry Research, Cardiff Business School and Adam Chase, Director of E4tech presented the previously unseen LowCVP report, highlighting the lessons from the first decade of UK policy, looking forward to 2050. The report showed that 2008 was a turning point for the industry due largely to the economic collapse and the surge in fuel prices and it was this that encouraged new environmental and green transport bodies to be formed and in turn, drive more policy. 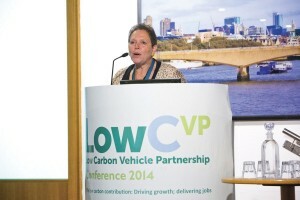 Recommendations for the future highlighted the need to create a CO2 measurement and incentive policy framework for HGV’s and HDV’s and to align low carbon with air quality policies, something that is noticeably lacking at the moment. Baroness Kramer, Minister of State for Transport was the keynote speaker at this year’s conference and despite reassuring us that her job was safe following that day’s cabinet re-shuffle, she was unfortunately unable to stay for the question and answer session following her speech. A reserve fund has been left available to allow for future investment in growing technologies. Andy Eastlake, Managing Director of LowCVP followed with his response to the report, focusing on the future. He showed emission projections for 2050 with new initiatives for how these targets could be achieved. These included focusing on low carbon and air quality, saying that ‘low carbon also has to mean low CO2, there should be no further conflict.’ Stimulating lower carbons in commercial vehicles and cross departmental ministerial groups were also highlighted.. Professor Jim Skea, Vice Chair of the Intergovernmental Panel on Climate Change (IPCC) presented the findings from their latest Climate Change reports. The key points being that emissions growth had accelerated due to CO2 caused from fossil fuel combustion, despite strategies and plans being in place and that greenhouse gas emissions from transport had risen 250% between 1970 and 2010. Two parallel sessions ran in the afternoon; A Tale of two cities – translating national policy to the local context and Transport Energy – the low carbon fuels conundrum. Mike Southcombe, Environmental Protection Manager for York City Council presented the results of 20 years of measuring air quality in the city. He found that NO2 levels had been steadily rising, which he accredits in part to the increase in diesel vehicles thanks to such schemes as the car scrappage and the Bus Service Operators Grant (BSOG). His frustration that CO2 had been addressed but not air quality drove him forward and a strategy was put in place to target both of these issues. He believes that York was the first city to have such a policy, which was then Government approved in October 2012. Buses were one of several areas of focus as ‘diesel buses were having a disproportionate impact on the environment’ A clean air zone for the city was suggested but a feasibility study showed that based on Euro 3 technology, air quality would be reduced and Euro 4 was not cost effective, particularly for the smaller operators, so a new strategy was needed. They introduced a clean air zone that not only took in to account bus emissions, but also the number of times it entered the zone. This meant that older vehicles, run by smaller operators, providing much needed rural routes in to the city on a less frequent basis, were not being penalised; the study showed that the newer vehicles, despite having better CO2 technology had a greater impact on air quality due to the frequency of their visits in to the zone. As a result of this study, they plan to make 80% of their bus traffic (traffic, not vehicles) electric by 2018 and they hope that 11% of their bus fleet will be electric by the end of this year. They have already introduced an all electric park and ride scheme, with a second in the pipeline. Murad Qureshi, Chair, Environment Committee, London Assembly informed those gathered that transport was accountable for 22% of the city’s carbon emissions. The Mayor has committed to a 60% reduction in CO2 levels in the capital by 2025 and has just missed the first milestone by a few percent. Murad and Mike were joined by Michael Hurwitz, Director for Energy, Technology and International (ETI) DfT, Professor Greg Marsden, Director of the Institute for Transport Studies, University of Leeds and Andy Eastlake for a questions and answers session. Points raised included the effects on health from carcinogenic diesel emissions, more joined up thinking on carbon emissions and air quality, and the need for better communication between local authorities and nationally. 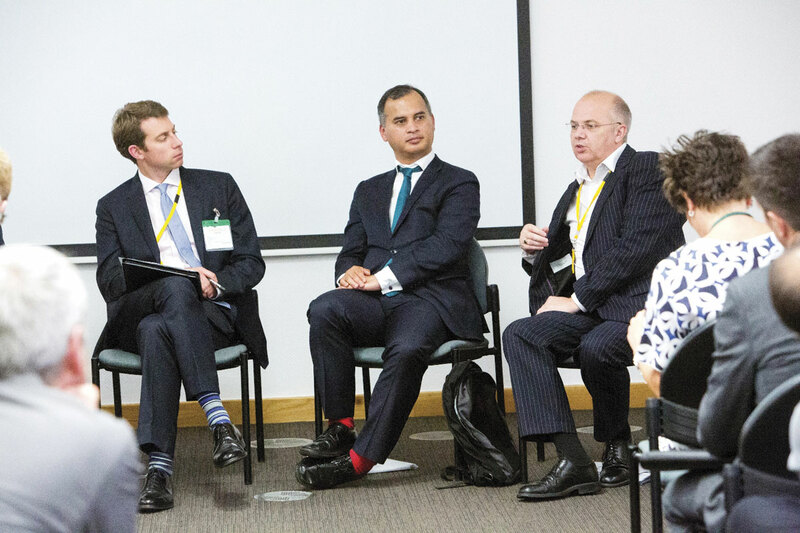 The parallel session focused on the controversial subject of bio fuels and was led by Rob Wakeley, Head of Low Carbon Fuels, DfT. He introduced the Go Ultra Low scheme and explained how the government was committed to supporting ultra low emission vehicles, by investing ‘£500m to 2020 to stimulate innovation.’ £25m is to be invested to ‘put the UK in the advanced biofuel race.’ They plan to support development of at least one UK plant from 2015-18 and a competition will be launched later this year where they will gather expressions of interest, before formal bids will be assessed in spring 2015 and contracts awarded next summer. Jonathon Murray, Director of Policy and Operations, LowCVP and Celine Cluzel, Principal Consultant, Element Energy, explained how LowCVP has been working on a fuels agenda for over 10 years and currently, work is focused on developing consensus around future fuels. It was suggested that this could be achieved by producing fuels that reduce our reliance on used cooking oils (UCO’s) and by ‘double counting’ fuels (which essentially fudges the system) that do not use food crop feedstocks, thereby remaining more environmentally friendly. The last presentation of the day was that of Cédric Bolloré, Director of Industry activities, Bolloré Group. His company was responsible for introducing ‘Autolib Paris’ an electric car share scheme, whereby people ‘rent’ the car for a pre-determined length of time and then leave it at a re-charging station for the next person to hire. The company is investing millions of Euros to bring this scheme to London. Questions were raised as to how the national and local grids could cope with sudden surges of power through people ‘plugging in’, particularly during peak times. It was suggested that unless this was acted upon quickly, there would be a risk of grid ‘melt downs’. The conference concluded with a final panel Q&A session before a drinks reception, hosted by Shell. The recurring points of the day seemed to be that more joined up thinking needs to take place between local authorities and governmental departments; EV’s are coming, whether we like them or not and we need to plan for their arrival; by concentrating on CO2 emissions, we have neglected to look at air quality which directly effects GHGs (Green House Gasses) and with petrol and diesel coming closer together there is less of a carbon reason to choose diesel, therefore is dieselisation still something for the future?